Calcite is a naturally occurring calcium carbonate media. One of the advantages of Calcite is its self-limiting property. When properly applied, it corrects pH only enough to reach a non-corrosive equilibrium. It does not overcorrect under normal conditions. Upon contact with Calcite, acidic waters slowly dissolve the calcium carbonate to raise the pH which reduces the potential leaching of copper, lead and other metals found in typical plumbing systems. Periodic backwashing will prevent packing, reclassify the bed and maintain high service rates. Depending on pH, water chemistry and service flow, the Calcite bed will have to be periodically replenished as the Calcite is depleted. As the Calcite’s calcium carbonate neutralizes the water, it will increase hardness and a softener may become necessary after the neutralizing filter. Calcite can be effectively combined with Clack Corosex to combine the high flow neutralization properties of Corosex, along with the slower reacting low flow properties of Calcite, increasing the ability to correct low pH. 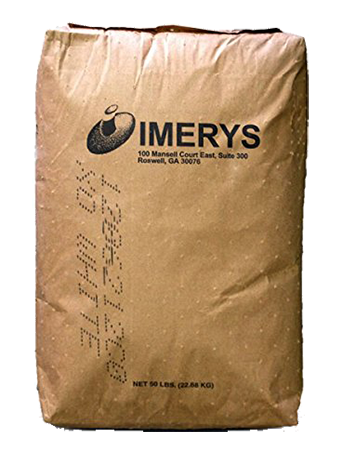 Bulk Density: 90 lbs./cu. ft.
Backwash rate: 8-12 gpm/sq. ft. This entry was posted on May 13, 2014 by pwp_admin.